Aid for livestock during droughts - Welttierschutzgesellschaft e.V. The global climate change does not only affect humans, but can also be live-threating to animals living in areas which are affected by droughts. 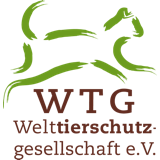 The Welttierschutzgesellschaft (WTG) wants to help those animals in need. Together with our partner organization Meru Animal Welfare Organisation (MAWO), we have initiated a project which aims to mitigate the catastrophic effects of droughts on animals and humans in Northern Tanzania. Annual dry seasons, which last for months, have been a huge challenge for Tanzania’s many livestock. 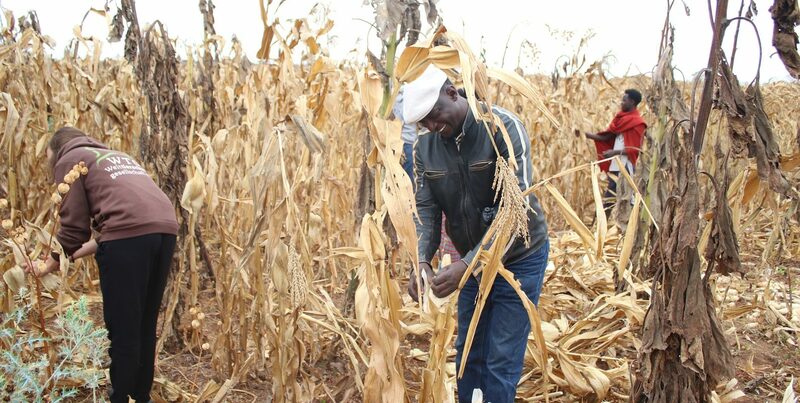 As a result of the climate change, the situation in the East African country has even worsened. After dry seasons there is not enough rain which leads to fatal droughts. Every year, 60 to 90 % of the cattle, donkey and goat population die during those droughts. And with the animals, many local people also lose their most important source income. During the drought periods of the last years, we have already been able to help 8,000 animals in North and Central Tanzania by providing emergency aids such as food, mineral supplements, water and urgently needed veterinary services. According to climate experts, long periods of extreme weather will even intensify in the coming years. That’s why the WTG and its partner organisation MAWO started a prevention programme in five Maasai villages in the area of Emoret in North-East Tanzania. Parallel to providing emergency aids, we also organised a workshop for animal owners, paravets and community leaders to mutually develop strategies and measures which are part of the prevention programme. For two days, our partner MAWO will meet with the villages’ most important leaders to introduce the prevention programme and its two measures - cultivation of land and water storage. The main goal of the meeting is to make two hectare of land available which then can be used to grow forage crops. 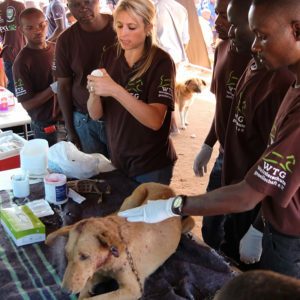 According to the Food and Agriculture Organisation (FAO) high mortality rates of animals can be avoided, if veterinary services are provided to them prior to a dry period. Therefore, it is important to involve local paravets and ask them to pay close attention to the animal’s health before an upcoming drought. 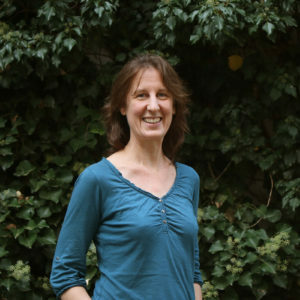 Another focus of the project is animal management. Up to the present day, in Maasai culture, a big livestock herd still stands for wealth. This means that there are huge numbers of livestock, mostly consisting of already undersupplied animals, that are more likely to fall victim to long, dry seasons. Convincing local animal owners of the benefits smaller herds is another primary focus of the project. For centuries the Maasai have been keeping livestock like cattle, goats, sheep and donkeys, which were solely fed on wild plants growing in grassy landscapes. Being nomads which traditionally move on with their herds once all forage has been grazed, Maasai are not used to practicing agriculture. However, some of them have settled down and are now dependent on the surrounding grazing areas. As hardly anything has been growing there during the lasts years’ dry periods, the settled Maasai are forced to set out for areas where they can feed their livestock. For the already weakened animals the beginning of the dry season represents the start of a long, exhausting and desperate quest for food. Annually, up to 90 % of the herds starve to death, as there is not enough forage growing to feed all animals sufficiently. To prevent this animal suffering in the future, our partner MAWO will work with the Maasai, to farm the provided 2 ha of land and cultivate robust grasses and corn. Water collection reservoirs, which are either man-made or natural, supply humans and animals with drinking water. However, with no rain after a dry period the water level reach critical points. Water theft increases the shortage of water supplies even more. To alleviate the situation, big water tanks has been provided by WTG and MAWO for each of the five communities. During the rainy season generators pump the water out of the reservoirs and into the tanks, where it can be stored until the next drought. Once the reservoirs dry up, the water in the tanks can be filled into the animal troughs. This method allows a more controlled distribution of water and aims to encourage a sustainable use of water sources. It will hopefully also put an end to water theft in the future. This 3 step pilot project in Tanzania will be regularly assessed and reviewed. Based on the results ,we will adjust and improve the project continuously, so that the animals can be helped in the most effective way on a long-term basis.